Q. Why is brushing important? A. Daily brushing and cleaning between your teeth is important because it removes plaque. If the plaque isn't removed, it continues to build up, feeding on the food debris left behind and causing tooth decay and gum disease. Q.How often should I brush my teeth? A. Be sure to brush thoroughly with a fluoride toothpaste at least twice a day, more often if your dentist recommends it. If you keep getting discomfort or bleeding after brushing go to see your dentist about it. Q. How should I brush? A. Brushing removes plaque and food particles from the inner, outer and biting surfaces of your teeth. 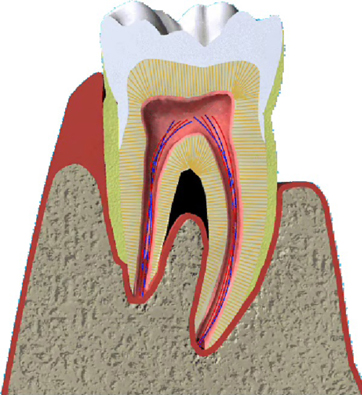 several times, on all the surfaces of each individual tooth. (the front part) of the brush. A. Your dentist or dental hygienist will be able to recommend a toothbrush to you. However, adults should choose a small to medium size brush with soft to medium bristles. The head should be small enough to get into all parts of the mouth: especially the back of the mouth where cleaning can be difficult. Children need to use smaller brushes. You can now get more specialised toothbrushes. For instance, people with sensitive teeth can now use softer bristled brushes. There are also smaller headed toothbrushes for those people with crooked or irregular teeth. Some people find it difficult to hold a toothbrush, for example because they have Parkinson's disease or a physical disability. There are now toothbrushes, which have large handles and angled heads to make them easier to use. Q. How often should I change my toothbrush? A. Worn-out toothbrushes cannot clean your teeth properly and may damage your gums. It is important to change your toothbrush every two to three months or sooner if the filaments become worn. When filaments become splayed, they do not clean properly. Q. How can plaque cause decay? A.When you eat food containing sugars and starches, the bacteria in plaque produce acids, which attack tooth enamel. The stickiness of the plaque keeps these acids in contact with teeth. After this happens many times, the tooth enamel can break down forming a hole or cavity. Q. How can plaque cause gum disease? A. Plaque can harden into something called calculus another name for it is tartar. As calculus forms near the gumline, the plaque underneath releases poisons causing the gums to become irritated and inflamed. The gums begin to pull away from the teeth and the gaps become infected. If gum disease is not treated promptly, the bone supporting the teeth is destroyed and healthy teeth may be lost. Gum disease is the biggest cause of tooth loss in adults and can lead to dentures, bridges or implants. Q. How can I prevent gum disease? A. It is important to remove plaque and food debris from around your teeth, as this will stop your gums from swelling and becoming infected. If you leave plaque on your teeth it can develop into tartar, which can only be removed by the dentist or hygienist. It is important to keep up your regular appointments so that your teeth can have a thorough cleaning if they need it. A. Gum disease (gingivitis) will show itself as red, swollen gums that bleed when brushed or flossed. Many people are alarmed when they notice this bleeding and will then brush more gently, if at all. It is important that you continue to clean regularly and firmly in order to fight the condition.